Edinburgh spirit producer Sweetdram has released the ‘first’ whisky-based amaro, a blend of malt and grain whiskies infused with botanicals and honey. The spirit drink is based on three-year-old North British grain whisky matured in virgin oak casks, 12-year-old Invergordon grain matured in ex-Sherry casks and seven-year-old peated Ardmore malt whisky matured in first-fill ex-Bourbon casks. The blended whisky is then infused with nine botanicals – allspice, hibiscus, coriander, lovage, kola, quassia, rhubarb, fresh lemon peel and lingonberry – before being sweetened with honey. Distillery co-founder Andrew MacLeod Smith said: ‘We wanted to try something new, to give whisky purists, amaro lovers and modern men and women alike something genuinely exciting and different to sip. 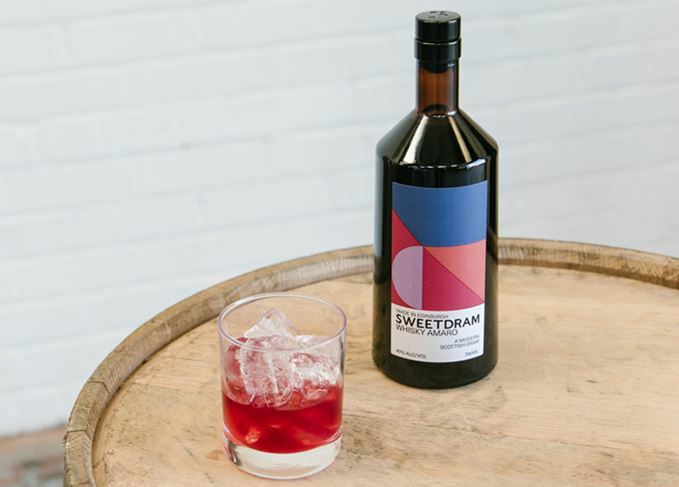 Described as ‘aromatic and complex’ with ‘bitter, dry and sweet’ notes, Sweetdram Whisky Amaro is bottled at 40% abv. The spirit drink is currently only available in the UK from the Sweetdram distillery website, priced at £40, though the company is yet to confirm whether the spirit drink will be released internationally. Sweetdram also produces Escubac, a ‘spicy, citrusy, juniper-free botanical spirit’ and bottles a blended spiced rum.